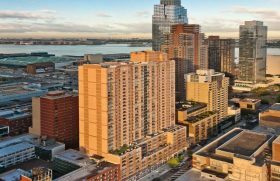 Applications are now open for 18 fully renovated units at 520 West 43rd Street in Midtown West. 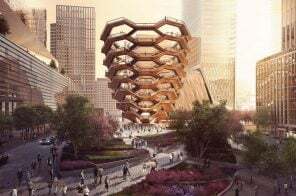 Located between Tenth and Eleventh Avenues, the 33-story building was built in 1998 and boasts Hudson River views and proximity to Port Authority Bus Terminal, Times Square, and Hudson Yards. Known as The Helux, the building’s name is a combination of “Hell’s Kitchen” and “Luxury.” The building comes with a pretty amenities package and no shortage of transportation options. 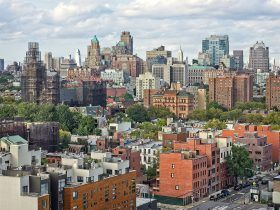 Qualifying New Yorkers earning 130 percent of the area median income can apply for the units, ranging from a $2,135/month studio to a $2,760/month two-bedroom. 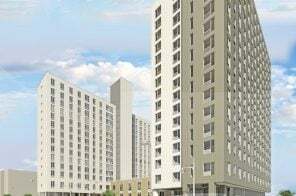 The Doe Fund has announced plans to develop 90 new units of affordable housing in the Bronx on the site of the former Joseph A. Muller Army Reserve Center at 555 Nereid Avenue in Wakefield. The New York City-based nonprofit organization acquired the long-dormant structure in 2013 and has since worked with Wakefield residents to create a redevelopment plan that responds to the community’s needs. As a result, the site will be converted into 90 studio apartments, 54 of which will be reserved for formerly homeless veterans. A lottery offering 16 affordable apartments is now officially open at the newly-constructed mixed-use building at 848 Lorimer Street overlooking McCarren Park in Greenpoint, Brooklyn. 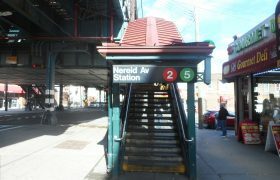 Qualifying New Yorkers earning between 80 and 130 percent of the area median income can apply, with rents ranging from a $1,125/month studio to a $2,684/month two-bedroom. The brick-and-glass building is six stories tall with 52 residential units total, and includes a street-level parking garage. 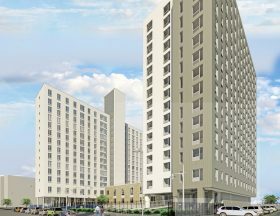 Applications are now being accepted for 56 middle-income apartments at a brand new luxury building in Crown Heights. 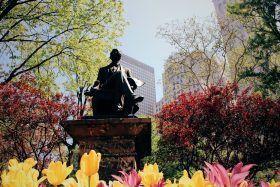 Facing Brooklyn’s historic thoroughfare, 409 Eastern Parkway sits just one block from bustling Franklin Avenue and two blocks from the Brooklyn Museum, Botanic Garden, and Prospect Park. 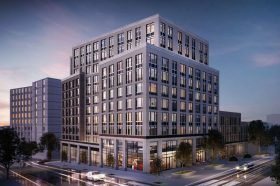 Plus, the building offers residents more than 17,000 square feet of amenities, including a fitness center, pet spa, children’s playroom, co-working spaces, landscaped roof with bocce ball courts, and more. Qualifying New Yorkers earning 80 and 120 percent of the area median income can apply for the units, ranging from a $1,168/month studio to a $2,759/month two-bedroom. 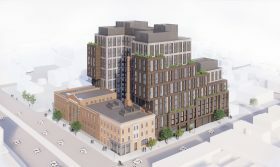 Update 4/23/19: The City Planning Commission voted on Monday to approve the Bay Street Corridor rezoning plan, despite opposition from Staten Island Borough President Jimmy Oddo and local community groups, City Limits reported. As the plan now goes in front of the City Council, housing advocates will continue to push for the rezoning to include deeply affordable units. 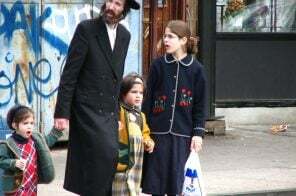 The City Planning Commission will vote Monday on the rezoning proposal for Staten Island’s Bay Street Corridor, an area between Tompkinsville Park and Tappan Park. 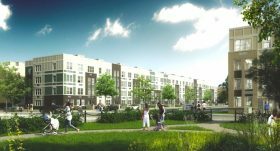 Ahead of the agency’s vote, questions remain about the plan’s affordable housing portion, expected to bring 1,800 new residential units to the area. According to a report from Clifford Michel of THE CITY, the rezoning sets aside affordable housing for middle-class professionals, allowing developers to build units for households earning as much as $127,000 per year for a family of three. Based on that income requirement, the “affordable” apartments would rent for more than $3,000 per month.